RAW HOLLYWOOD : NEW VIDEO: D∆WN FEAT. 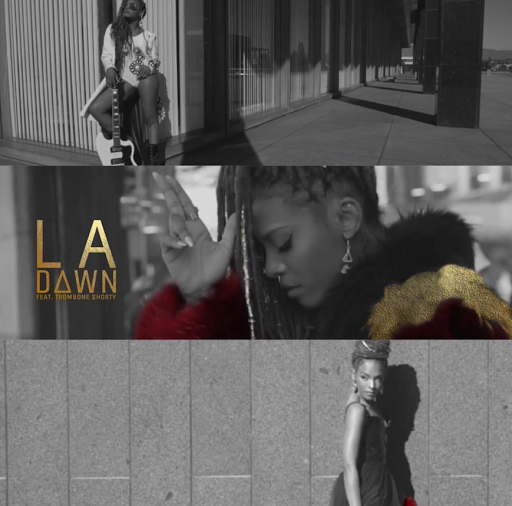 TROMBONE SHORTY "LA"
NEW VIDEO: D∆WN FEAT. TROMBONE SHORTY "LA"
D∆WN is back with a new visual for the record "LA" that see's the resilient artists love of both her hometown of Louisiana & Los Angeles. The black & white music video journey's along with the singer & she channels her free flying artistic mentality as she dances through the wonderful city of angels. She is seen stopping by major landmarks like the Walt Disney Concert Hall & the Dorothy Chandler Pavilion. "LA is such a personal record & visual to me. It explains the parallels of the struggle & beauty I've encountered in both Louisiana & Los Angeles." Trombone Shorty also appears in the video who helps to set the tone for the whole storyline while D∆WN continues to soar as she overlooks the beautiful city's breathtaking views of the skyline. She also delivered the tour dates for the upcoming Redemption tour.